Learn about the different permissions available with Sharing. With the Sharing feature you can invite others to view, comment, and edit on your StudioBinder projects. Share your progress, manage tasks, and work together by inviting Collaborators and Users. 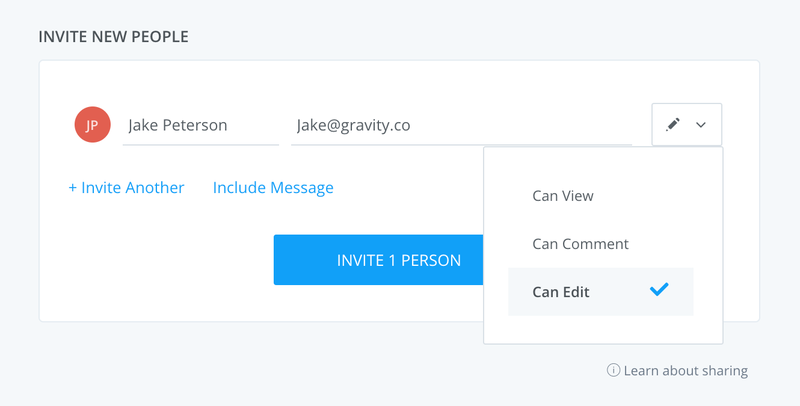 Collaborators can view, comment, and edit on any page without signing up with login information. 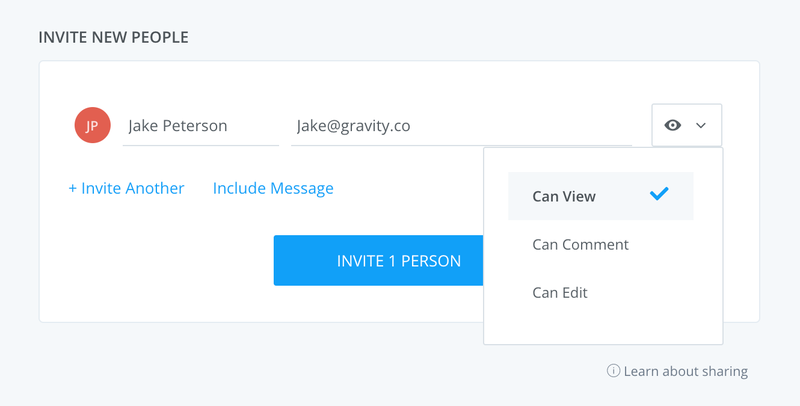 You can invite Collaborators via the invite form. Collaborators can only access the page you invite them to on your project. Only Studio plan subscribers have access to Collaborators. For example, this is useful when you want your Assistant Director tag your script, so you can easily just share solely that page with them, and without having them sign-up to create an account. Alternatively, if you want someone to edit a Task Card on the Calendar page, you can set their permissions to Edit and they'll have access to modify the page. Why can you add a Teammate if you're on the Studio plan? Currently, if you're subscribed to the Studio plan (including any other Individual plan), you will not have access to invite a Teammate. However, the Studio plan does provide access to Collaborator features. Why can't your Collaborator make changes to the Call Sheet page? Currently, you can only request approval from Collaborators on an individual call sheet. If you would like someone to actually modify, or make changes to the page, they would need to be invited as a Teammate. Teammates can view, comment, and edit across your entire account, but they are required to sign up. 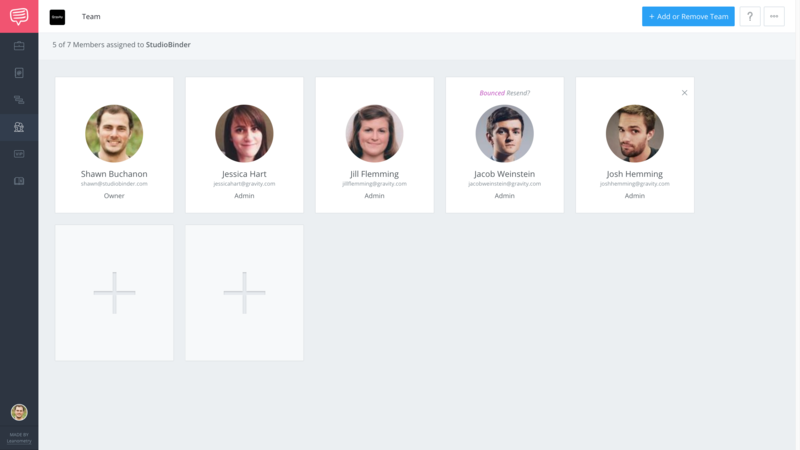 You can add and remove additional users via the Teams page. Note: Keep in mind that you must be subscribed to a Company plan to add additional Users to your account. If I invite a teammate, will they have a separate login from other teammates within my account? When you invite a teammate, they'll be required to create an account so they can gain access to your entire Project (including call sheets, shot lists, storyboards, calendars, script breakdowns, etc. ).